Good point Utkarsh. If the person you are presenting your idea is more like Steve Jobs, then there is very little you can do. The Reality Distortion is so powerful that your voice is practically inaudible. Even a guy as talented as Jonathan Ive felted not given enough credit for his ideas. Imagine the situation for folks a few ranks below. Having said that here are a couple of things I can think of: (1) Show the idea to a few people before you show it to the "boss". (2) Write an internal documentation / video perhaps an e-mail to show that you indeed had the germ of the idea. oh no, that over-rates SOB StevejOBs again.. I agree. 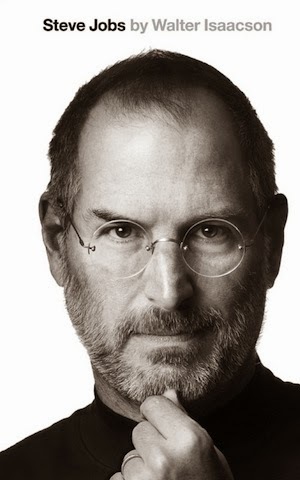 Steve Jobs is over-rated. He wanted to project himself as a super-hero and he succeeded in that. The article also tries to bring out how Jobs' intuition was fallible (disk drive story) and there were smart guys like Ive, Espinosa and Belleville who were also contributing to the success of Apple. Interesting! This is an eye-opener for all in the creative field Vinay! Whenever I interact with creative guys in our small organisation, I try my best not to make conclusive remarks. Such a lot of seemingly foolish ideas in mar com can be turned into good ideas if brainstorming goes right :) And yes… we come across clients who end up taking ad hoc decisions on creative ideas which affect their bottomline. And they never realise it! While some are smart enough to ask for presentations & steal ideas from the presentation. How much impact can a prejudiced technocrat have while rejecting an idea is fearful to imagine.